Here at the Deerfield Park District, we have developed programs that are tailored for young children who are just beginning their interactions with the outside world. As children learn to play and interact with other children, they learn important social skills and have a head start on their school years ahead. 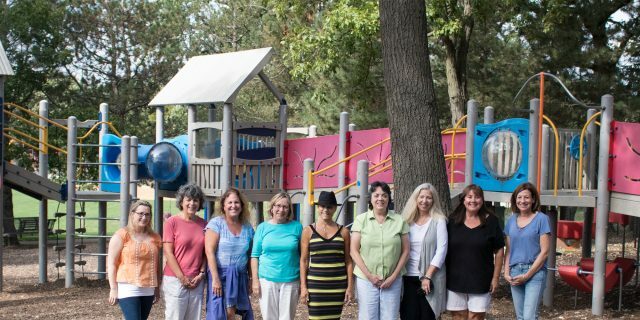 In addition to seasonal programs, the Deerfield Park District Preschool operates inside Jewett Park Community Center. Our dedicated, experienced teachers are professional educators, committed to helping children develop to their fullest potential. Check the Preschool section of the website for further details. How can you help make your child’s playtime at the park district even better? Make sure your child is the correct age by the first day of class. Be on time to pick up your child so he/she doesn’t worry. Keep your child at home if they are sick. Children must be the correct age by the first day of class. Many of our preschool – as well as cooking and other – classes will serve food; therefore, it is imperative that you notify the full time Recreation Supervisor of any food allergies or dietary restrictions your child may have. If your child may need to use medication (inhalers, epi-pen, etc.) during class time, a medication administration form must be completed, including physician’s signature. Forms are available at the Registration Office. Please do not attend class nor send children who are ill to class. To prevent the spread of communicable diseases, such as strep, pink eye and fifth disease, parents should report any diagnosed cases to the park district office. If exposure to other participants occurred, a notification will be sent home. Your children will love the Treehouse on the upper level of the Jewett Park Community Center. The kids will enjoy the eight foot tube slide, mountain climb, spring walk, web crawl and double cush-n-cube bags, not to mention other intriguing attractions to stimulate young imaginations. Children like to jump and climb, pretend and be challenged. The Treehouse provides all those opportunities to children who are at least three years old and less than 4-feet tall. Please visit our Jewett Park Community Center page for more information about the Treehouse. Our Creative Arts & Cooking classes are designed to help young children explore their world and use their limitless imaginations to create tangible results. 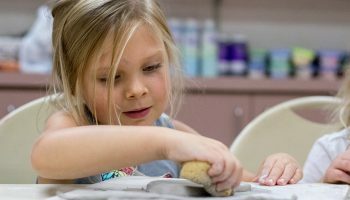 The park district art instructors have been teaching exciting classes for many years, and we frequently have the second generation of young artists enjoying our classes. Cooking classes are a great opportunity to safely introduce kids to fun in the kitchen, with a delicious snack as a reward for a job well done. Every child has a different set of skills, maybe they are the next Iron Chef or they could be the next Frank Lloyd Wright. Whatever they could be we are here to help them explore all the different possibilities. The park district has been helping kids find their passions early for years. So let their imaginations run wild and who knows, maybe it will be your kids who do all the cooking for you. 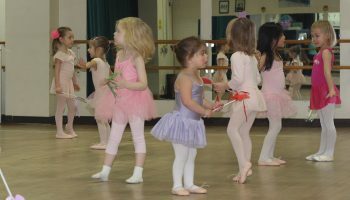 Music and dance classes provide opportunities for young children to begin expressing themselves while they build coordination and rhythm abilities. Our energetic instructors have years of experience with young children and know how to pace classes so everyone has a great time. 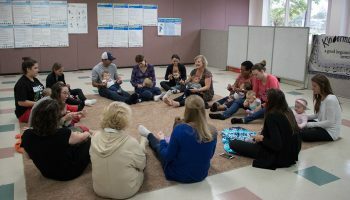 We also offer Parent & Tot classes for babies and toddlers who aren’t ready to be on their own yet. Young children have no shortage of energy, and it can be a challenge for busy parents to keep up! 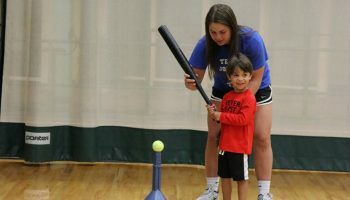 Our Sports & Athletics classes offer a great introduction to sports including T-Ball, Soccer, Basketball, and Dodgeball. Starting with the basics, our dedicated instructors are focused on teaching the basics, teamwork, and safety — but mostly ensuring that every child has fun! Learning to play sports is a great foundation for a lifetime of exercise and fitness.